Hi all, its been a while since i gave the sites a fresh lick of paint but the time has come, ive had to fix a PHP coding issue which prevented some pages from showing and thankfully its worked. The 3DS News site now features the latest 3ds games that have been released and the bestsellers from both sides of the pond. As real life makes it harder to post every last bit of news, i have turned back to what made DCEmu great and that is concentrate on Homebrew and Emulation news, i will post the latest chart news and interesting stuff relating to the site involved but posting every damn bit of gaming news has had to go, i do use automated systems to post the latest releases in the UK and USA so you will always know whats being released. Today we are a new homebrew 3DS , here we is a game that is quite addictive and fun is called Jezzball 3DS . In the game you have to try to go leaving little space available to the balls you have in each level and go up a level in a limited time. Have a list of your best results and have 3D effect . SysCheck is a simple but useful application homebrew created by Erik Spyder with which we can make a check on IOS, System Menu and cIOS loaded into our system. If you want to know if you have successfully installed the cIOS and that version is, IOS Stub bring your console, the versions of IOS , etc.. SysCheck is a tool that will come in simple but very well . - Fixed an APU sweep unit bug. - Fixed crash during gameplay. Shooterthing 50% by Genesis Project is an unfortunate unfinished 2D shooter for Game Boy Advance. It features great pixel art by Mermaid. This game could have been something great, but sometimes things just don’t work out the planned way. Vanguard V is a fast paced 3rd person 3D shooter on rails that is being planned for Virtual Reality headsets. Currently the developers have said that the game will come to Mobile, PS4, Windows, Mac, and Linux. You may be wondering why this game is receiving a mention on our front page, it is due to their highest priced stretch goal, a Nintendo Virtual Boy port. According to a reply from the project leader, not only are they serious about this goal but they already have a working prototype. Sources close to myself have revealed e-mails sent on behalf of the Virtual Boy community asking for a more reasonable stretch goal price. They have cited such things as the VB Sacred Tech Scroll, the Virtual-Environment (VIDE) complete coding environment, and community reproduction efforts as a means to help achieve this request. The current stretch goal seems unobtainable. While those behind the project are perhaps recognizing the VB as a spiritual predecessor to modern VR, they do not seem to be taking a VB version of their game seriously. Perhaps the influx of e-mails from the VB community will change their mind. There remains a chance, extremely slight as it were, that a new VB game could be released. - Fixed scrolling bug MultiROM. Swiss SVN r276 is compiled. The swiss army knife of gamecube homebrew. Swiss aims to be the ultimate utility Gamecube homebrew application. - Add VIConfigure signature for Game Boy Player Start-up Disc. WinDS PRO 2014.08.02 is released. WinDS PRO is a Nintendo DS & GameBoy Advance emulator package. This have NO$Zoomer, NO$GBA, NO$MOOZ, NOZ, myZOOM, NGZoom, NO$GBA 2X, iDeaS, DeSmuME, VBA Link & VBA-M.
PPSSPP, PCSX2, OpenMSX, Dolphin Play! Dolphin Git 4.0-2390 is compiled. This is the trunk of Dolphin Project. Dolphin is the first Gamecube emulator able to run commercial games! Dolphin is a Gamecube, Wii and Triforce (the arcade machine based on the Gamecube) emulator which supports many extra features and abilities not present on the original consoles. It has a partial Wii support and plays most Gamecube games. 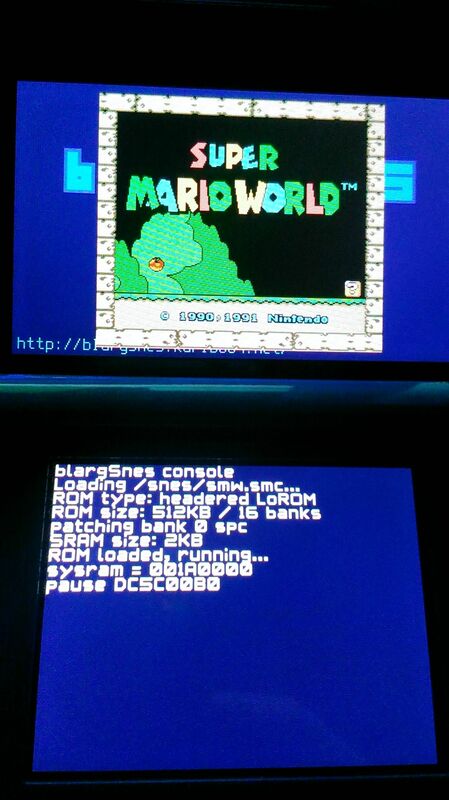 DS-Rom Organizer v6.7.0.0 is released. DS-Rom Organizer is a tool for Windows that is designed for making management and organization of your Nintendo DS Games easier. It allows you to easily store your games in the application, view all of its information, organize the way you want, and even get them transferred over to your “Device” with the press of 1 button. - Flexible Layout. Create it your own way. - All Kinds of Device options. Nestopia Git (2014/08/02) is compiled. This project is a fork of the original Nestopia source code, plus the Linux port. The purpose of the project is to enhance the original, and ensure it continues to work on modern operating systems. Yanese v0.20 is released. Yanese is a Yet Another NES Emulator. - Video: NTSC pixel aspect ratio emulation. You can select it in the "Video" menu. Beawere .that setting NTSC aspect ratio consumes more hardware resources. - Gamepad controller selection menu: Now you can change wich NES gamepad your PC gamepad handles. - Goodbye SDL: all is done trough DirectSound now. No more "SDL.DLL". - Screenshot: You can take Screenshots in .BMP format and will be saved in /screenshots subdirectory. - Only One Instance: if you try to run yanese.exe it will detect if another instance is running and will bring to foreground the window. As ive said already on the sites ive been redoing the last few days, All of the DCEmu sites have needed a clean up and a revamp, had to fix php issues that stopped pages loading which affects our google location. The WiiU is now in the midst of a very interesting hacking time, what will become of it all should be extremely interesting, what can the WiiU emulate at full speed ? These pages update themselves all the time and make a great reference point for what to buy for xmas etc. You know, when we were kids playing Monopoly, all we had to choose from were the thimble, shoe, top hat, car, wheelbarrow, dog and battleship, and cousin Johnny always took the battleship! Hmph! 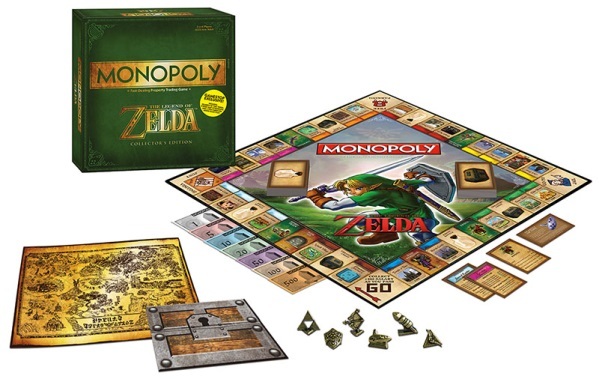 Well, kids today won't have to suffer such indignities thanks to USAopoly, the company behind custom versions of classic board games; they're releasing Monopoly: The Legend of Zelda Edition, complete with way cooler player tokens. Customers who pick up this special version of Monopoly will be able to choose from such Zelda series staples as the Bow, Hookshot, Boomerang, Triforce and Hylian Shield to represent their progress. If you're picking up the board game from GameStop, you'll also be able to choose the Ocarina of Time. The GameStop edition also comes with six "Power Cards" to tweak gameplay and a Hyrule map lithograph, all packaged inside an exclusive square box. A GameStop pre-order page for Monopoly: The Legend of Zelda Edition lists September 15 as a release date. If nothing else, it might not be a bad way to pass the time until Hyrule Warriors hits shelves on September 26. Nintendo has detailed this week's European eShop update, revealing the newest digital titles coming to Wii U and 3DS. * You agree to be contacted by Future and our trusted third parties. The new releases and special offers listed below will go live this Thursday, August 8, which marks the beginning of a month of Mega Man games releasing on eShop each week. Until 14/08/2014 selected NES games are offered at discounts of up to 50% on the regular price if NES Remix or NES Remix 2 has previously been downloaded on the same Wii U.
Unepic (EnjoyUp Games) Wii U (Download) Nintendo eShop from 07/08/14 €8.49 / £7.64 / CHF11.90 until 21/08/14 22:59 UTC if Abyss was downloaded on the same Wii U. Regular price is €9.99 / £8.99 / CHF14.00. EnjoyUp Games loyalty offer until 21/08/2014: If you downloaded Unepic or Abyss from Nintendo eShop on Wii U, you can purchase the other game with a discount from Nintendo eShop on the same Wii U. Once again we continue with updates 3DS , this seems week updates Nintendo since two days ago the Wii U console was updated after maintenance of online servers, Nintendo has updated your console to a new version of 3DS 8.1. 0-19 . As we are used to the improvements presented by Nintendo are "Improvements in stability and performance of the console." And apparently still block NDS Flash Cards that worked in the previous version of the system, time Scenebeta should not upgrade the console to verify that it is compatible with our flash card. They did not spend more than two weeks since the last update for Wii U, until now Nintendo has surprised us with this new: 5.1.1 . This update brings nothing interesting , just blocks an exploit with web browser that could have allowed the entrance of the Scene this console. Upgrade? It depends. If we wait to see what promises to exploit this, it is best not update. "GLideN64 is currently compatible with all emulators which support Zilmar’s plugins specification, that is present in all top N64 emulators. GLideN64 is also compatible with Mupen64Plus 2.0, which has its own plugin specification. Supported OSes are: MS Windows 7-8, Linux 32 and 64 bit. System requirements are: graphics card with support of OpenGL 4.2 or better. GLideN64 is also being ported to the Android OS, however the Android version is less functional. System requirements for Android: OS version 4.0 or above, OpenGL ES 2.0 support, fast CPU. The demo video shows desktop version of the plugin in action." Please do consider donating a buck or five. Pokemon Gold Beta/Alpha REVIVAL is a ROM Hack that has been going on since October 2012, and it has came a long way since then. It caused TCC to be formed, a slew of new ROM Hacks, and a bit more popularity in Pokemon Gen 2 ROM Hacking. Pokemon Gold Beta/Alpha REVIVAL also caused the beta Safari Zone to come to see the light of day, and also made running possible in a recent update. And now, 1.5, the update destined to be the biggest update yet, is soon to be finished. It will add in new tilesets, revamped sprites (Maybe in 1.6), and even more Pokemon in the Safari Zone! Look at the Facebook Page for TCC and Pokemon Gold Beta/Alpha REVIVAL for more information about later updates, and other ROM Hacks! After 2 years of hibernation, huiminghao resurrects his portage Nes emulator for the Nintendo DS and proposes a new update. Note predominantly support mapper 5, allowing the emulation of games using it. Akdul offers version 0.2 of " Jezzball3DS "port of the famous puzzle game JezzBall for Nintendo 3DS. DeSmuME SVN r5046 is compiled. DeSmuME is an open source Nintendo DS(NDS) emulator for Linux, Mac OS and Windows. DeSmuME supports save states, the ability to increase the size of the screen and it supports filters to improve image quality. DeSmuME also supports microphone use on Windows and Linux ports, as well as direct video and audio recording. The emulator also features a built-in movie recorder. fix ancient errors in instruction decode table created by r3504 and r3510. not known to fix anything, but might be hg/ss related. Nestopia Git (2014/08/10) is compiled. This project is a fork of the original Nestopia source code, plus the Linux port. The purpose of the project is to enhance the original, and ensure it continues to work on modern operating systems. Dolphin Git 4.0-2490 is compiled. This is the trunk of Dolphin Project. Dolphin is the first Gamecube emulator able to run commercial games! Dolphin is a Gamecube, Wii and Triforce (the arcade machine based on the Gamecube) emulator which supports many extra features and abilities not present on the original consoles. It has a partial Wii support and plays most Gamecube games. Swiss SVN r278 is compiled. The swiss army knife of gamecube homebrew. Swiss aims to be the ultimate utility Gamecube homebrew application. Citra gsp-command-synch Git (2014/08/06) is compiled. Citra gsp-command-synch is a branch of Citra. Citra is an experimental open-source Nintendo 3DS emulator/debugger written in C++. At this time, it only emulates a very small subset of 3DS hardware, and therefore is only useful for booting/debugging very simple homebrew demos. Citra is licensed under the GPLv2. Refer to the license.txt file included. * GPU: Updated g_last_ticks variable to be more descriptive (represents CPU tick count of last vertical line). * GPU: Updated horizontal sync line counter to use framebuffer height. * Thread: Added more descriptive comment to WaitCurrentThread. 3dmoo Git (2014/08/05) is compiled. 3dmoo is an open-source Nintendo 3DS Emulator Prototype. It does not run games (yet). We finally did it! We are the first and only team to add support for the latest games and applications that make use of the new 7.x and 8.x encryption. We are currently in the process of wrapping it up in a nice Launcher file and we will be releasing it in the coming weeks. After a long time in which users with older versions of firmware to 4.5 we were unable to use flashcarts in our consoles , the coder and hacker Smealum , known by some as homebrews DScraft and Yetinoel , or for showing us Hoopa and Pokémon Volcanion X, has posted on his twitter accountwho is working on a Launcher to Homebrew based on a new exploit . certainly very important news that will change the future of the 3DS scene. - includes all latest SVN changes. NES emulator has been updated. No changes info available. SHMUP is an unfinished SHMUP game by Kresna. As of now you can move up and down and shoot, but there are no enemies. Steins Gate is a clone/remake of the 8-bit sequel to the Steins Gate anime/visual novel. Coded by calc84maniac. Even though it’s a non-canon spin-off, it does contain major spoilers for the original Steins Gate story. It might not make sense unless you’ve watched/played Steins Gate. Slider is a Game Boy game by Jaeden Amero. Turn it up to eleven, two to the power of eleven that is, with Slider. Slider is the latest 2048 clone, and this time it’s more portable than ever. Snake is a pretty simple Snake style game for Game Boy by nitro2k01. As the game has no scoring, it might not be seen as game after all. Bleep is a music creation program with piano roll interface by Andrew G. Crowell. It lets you jam out chip music really quickly, and it writes directly into save memory, so your work is saved automatically. This is not the final version. [marclar83] was given an Oculus Rift so that he could prepare for an upcoming conference presentation. He began to download demos, getting familiar with the VR interface but was disappointed to find out that someone hadn’t developed a good virtual reality bowling experience yet. 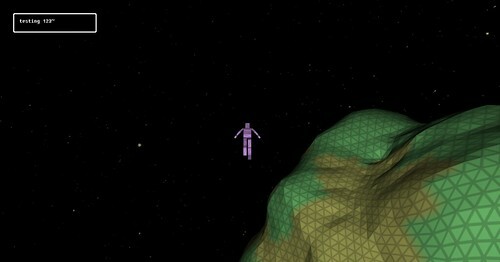 This prompted him to design a VR game that integrates a Wii Remote, recording the movements of the controller and sending accelerometer data to his computer. The game he created is similar to Wii Sports Bowling but with the added bonus of being immersed in a virtual world with the Oculus Rift. The D-pad on the Wii Remote was programmed to switch stances and bowling methods, allowing the user to choose whether they want to throw the ball down the middle or curve it a long the way. Pressing the trigger button on the back started the swinging motion, and when released, the bowling ball shot down the alley at a high rate of speed crashing into the pins at the end. Because the game was designed on the original DK1, the resolution of the images was a challenge that needed to be addressed, but [marclar83] solved this problem by implementing two user interfaces on the side of the screen that showed replays and depicted how many pins remained; proving to be a better experience for the gamer. This free public alpha version was made available for Windows, Mac, and Linux on the official VRBowling website. 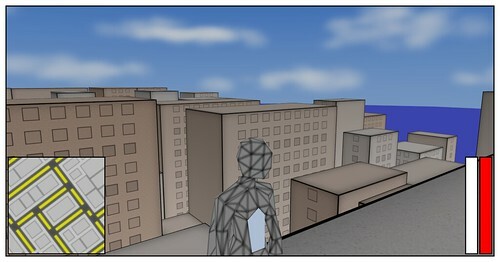 A video describing the project can be seen below. Gearboy Git (2014/08/16) is compiled. Gearboy is a Nintendo Game Boy emulator written in C++. The emulator is focused on readability of source code, but nevertheless it has good compatibility. A lot of effort has gone into this in order to follow OOP and keep it as simple as possible. - Accurate CPU emulation, passes cpu_instrs.gb from blargg's tests. - Accurate instruction timing, passes instr_timing.gb from blargg's tests. - Memory Bank Controllers (MBC1, MBC2, MBC3 with RTC, MBC5) and ROM + RAM cartridges. - Accurate LCD controller emulation. Background, window and sprites, with correct timings and priorities. - Mix frames: Mimics the LCD ghosting effect seen in the original Game Boy. - Sound emulation using SDL Audio and Gb_Snd_Emu library. - Basic Game Boy Color support. - Multi platform. Compiles and runs on Windows, Linux, Mac OS X and iOS. - Uses OpenGL for rendering on all platforms. - Uses Qt framework for Mac, Windows and Linux. Uses Cocoa Touch for iPad, iPhone and iPod touch. - Visual Studio 2010 project provided for Windows. Netbeans 7.2 project provided for Linux and Mac OS X. Xcode project for iOS. Fceux SVN r3078 is compiled. FCEUX is a cross platform, NTSC and PAL Famicom/NES emulator that is an evolution of the original FCE Ultra emulator. Over time FCE Ultra had separated into many separate branches. The concept behind FCEUX is to merge elements from FCE Ultra, FCEU rerecording, FCEUXD, FCEUXDSP, and FCEU-mm into a single branch of FCEU. As the X implies, it is an all-encompassing FCEU emulator that gives the best of all worlds for the general player, the ROM-hacking community, and the Tool-Assisted Speedrun Community. RiceVideo Git 2014/08/16) is compiled. RiceVideo is an open source video graphic plugin for N64 emulators. All windows-based emulators with plugin support (1964, Project64, Mupen64plus). As a matter of law, no rom is provided on the official website. However, you can load these roms on your machine. The emulator does not handle compressed files. So please only download roms decompressed. The application sometimes crashes if the file has special characters. Currently all parts of the GameBoy Advance hardware are implemented. You can save and load backups, send on your machine or your machine. GBA.js is able to take screenshots. It can set the emulation paused. It supports games containing real-time clocks (eg Pokemon). Citra Git (2014/08/15) is compiled. Citra is an experimental open-source Nintendo 3DS emulator/debugger written in C++. At this time, it only emulates a very small subset of 3DS hardware, and therefore is only useful for booting/debugging very simple homebrew demos. Citra is licensed under the GPLv2. Refer to the license.txt file included. - SVC: Added support for svc_GetSystemTick. 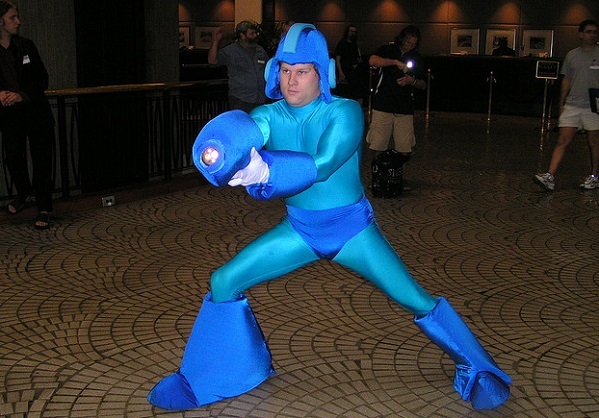 Mega Mega Mega Man, he's up on the eff- okay, yes, that's [video=youtube;ykkdvYThT_Y]https://www.youtube.com/watch?v=g_7rmGlo-1U"]the Mega Man 2 theme a la Brentalfloss[/URL], but he's not done one for Mega Man 6, the NES platformer out on Wii U Virtual Console this week. Of course, in the musical maestro's opinionMega Man 6 is Life Force, if you're looking for something retro in a more co-op flavor. Meanwhile, with Disney Infinity 2.0 still out of reach, Nintendo's getting things simmering by bringing OG Disney Infinity to the eShop for the first time, for free. You'll still need a physical figure and base to play it, though. As for the 3DS, we reckon top dog this week is Blazblue Clone Phantasma. Nope, not Blazblue Chrono Phantasma, but a 3D action game spinoff of the fighter series. The cast of characters are still there but hyper-deformed and cute, even if they're still beating the bejeezus out of each other. As always, you'll find the full list of new releases past the break. Sales-wise there are nine new discounts starting this week, which we'd say qualifies as plenty. We refer you to The Big N's press release for the full list, but we like the look of a third off Aeternoblade at $10 and Chasing Aurora half-price at $4. Along with publishing some rather good games, Ubisoft has quietly been developing another important role over the past few years. Thanks to the outspoken nature of CEO Yves Guillemot and the company's careful balancing of enthusiasm for new technologies and platforms with a decent degree of financial and management conservatism, Ubisoft has become a bellwether for the publishing industry. Perhaps a difference between French and American business culture plays a role, perhaps not; either way, where other firms equivocate and fall back on meaningless corporate double-speak, Ubisoft and its executives have developed a reputation for speaking openly and giving us an insight into what the publishing industry at large is actually thinking. When Guillemot pronounces, then, that his company is no longer going to launch "mature" titles on Wii U - Watch_Dogs will be their last such effort, following the disappointing performance of Assassin's Creed on the platform - you can safely bet that it's not acting in isolation. What Ubisoft says in the open is almost certainly precisely the strategy being pursued by other publishers as well; they're just more likely to try and veil it with empty platitudes about what a great partner Nintendo is and how important it is to the industry, effusive corporate praise which, once picked apart, actually carries no commitment of substance to the Wii U platform. "If mature cross-platform titles aren't selling on the Wii U, which they are not, then publishers should feel no obligation to continue to develop them for that platform"
Nor should any such commitment be forthcoming. If mature cross-platform titles aren't selling on the Wii U, which they are not, then publishers should feel no obligation to continue to develop them for that platform. If this were a two-horse race between rival platform holders, some publishers might be tempted to continue support for the lagging console just in order to keep the front-runner on its toes, but with three strong companies competing, that branch of thought no longer produces fruit. Wii U is on its own, in this regard. Just as Ubisoft will continue to publish Just Dance titles and their ilk on the platform, where they do very well, other publishers will also find casual or kids' games in their line-ups which suit the Wii U - but support for "mature" or "core" games will disappear in short order. I wouldn't expect to see many multi-platform core titles on Wii U from 2015 onwards. This will cause wailing and gnashing of teeth, because wailing and gnashing of teeth is essentially what the games media and the fanboy frenzy is set up to provide. The death knell! The final nail in the coffin! Vultures circle overhead! Once the core-game supply for Wii U completely dries up and other publishers admit to pursuing exactly the same policy as Ubisoft, headline writers will fall over themselves to drag out death-related imagery that would make a teenage goth poet blush. We know this, because it has happened before. Every Nintendo console since the SNES, in fact, has seen its third-party support fall off a cliff at some point in its life cycle. On each occasion, Nintendo's failure to woo third-parties has been presented as a sign of inevitable doom. Let's lay it out, then; Nintendo's home console platforms are terrible for third parties. They've been that way for twenty years and they're not going to stop being that way any time soon. Honestly, it wouldn't matter a tuppenny damn if Nintendo unveiled a PS4-beating HD console tomorrow; the business model, the branding and the market for Nintendo consoles is simply poison to the cross-platform "mature" mega-hit franchises like Call of Duty, GTA or Assassin's Creed. "Core gamers buy a Nintendo console as a second device because they want access to Nintendo exclusive titles, primarily first-party games"
Purchasers of Nintendo home consoles fall broadly into two categories. You've got core gamers who buy a Nintendo console alongside another gaming device - either a Sony or Microsoft console, or a PC; and you've got "casual" gamers, including the family and child segments, who buy a Nintendo device because they trust the brand. Neither of those groups is actually all that keen to buy the latest Call of Duty on a Nintendo platform. Core gamers buy a Nintendo console as a second device because they want access to Nintendo exclusive titles, primarily first-party games, but migrate back to their "primary" console to play mature cross-platform titles. Casual gamers don't want to play mature cross-platform titles anyway. In both cases, they bought a Nintendo device to play Nintendo exclusives. That's exactly how Nintendo likes it. Nintendo consoles maintain pretty strong tie ratios - even the Wii, supposedly the dust-gatherer of the last generation, had a healthy software tie ratio - and the lion's share of the games sold are Nintendo first-party games. It's not that Nintendo "accidentally" builds consoles like the Wii and Wii U which are underpowered and "weird" compared with the other consoles of their era, then wrings its hands and wonders why third-parties aren't launching loads of cross-platform games. Nintendo does this deliberately, building consoles that are custom-made to play Nintendo first-party games and which don't risk being overrun by Call of Duty and its ilk and thus damaging or polluting the brand image which the company has carefully constructed over the past few decades. For Nintendo, the fact that Assassin's Creed doesn't sell too well on Wii U is a feature, not a bug, because it means that the company's own first-party titles remain solidly in the spotlight and the brand image of the console remains Nintendo's to control. Of course, that approach begins to look a little less wise when the console in question fails to sell very well, leaving Nintendo's first-party titles with only a limited audience to address - which is exactly what's happened with the Wii U. Yet the solution isn't to throw in the towel and simply copy what Sony does - an enterprise in which Nintendo would almost certainly be doomed to fail. Nintendo needs to find a solution to its current woes which actually suits Nintendo; something which leverages all the things the company is good at and rescues its market position without simply becoming a clone of its rivals or, worse, just another software publisher jostling for attention on the App Store. "Nintendo needs to find a solution to its current woes which actually suits Nintendo; something which leverages all the things the company is good at"
The solution, perhaps unsurprisingly for a company with such a long history, may lie in the past. Nintendo doesn't need or want a swathe of third-party multi-platform manshooters on the Wii U, and that's absolutely fine. It does, however, need more breadth if not more depth in the Wii U's software catalogue. The first-party games on the system are excellent, but it needs more of them, addressing more niches; maintaining Nintendo's excellent quality standards while also exploring more genres, more aesthetics and more audiences. Once upon a time, Nintendo used to do almost exactly that. It operated "second-party" studios within and outside Japan, most famously Britain's Rare, which were independent but nestled under the wing of the platform holder, given access to Nintendo's expertise, assets and finance in return for accepting creative guidance from Kyoto and publishing exclusively on Nintendo platforms. It also built relationships with publishers, mostly in Japan, which guaranteed exclusive titles to Nintendo systems on similar terms. "Bayonetta 2, which no other publisher or platform holder would fund, is a compelling Nintendo exclusive now"
Some legacies of the second-party system remain. Bayonetta 2, which no other publisher or platform holder would fund, is a compelling Nintendo exclusive now; Hyrule Warriors, released in Japan last week, is a cross-publisher collaboration of a sort which the company should pursue more regularly. Yet these are mere echoes of a system which once guaranteed a strong flow of exclusive, high-quality titles to Nintendo platforms - titles which were different from the offerings on rival platforms, but compelling enough to ensure that gamers felt that they really, really needed a Nintendo console under the TV as well. A resurrection and reinvigoration of second-party would make enormous sense for Nintendo today. It would look quite different to the system of the past in some regards; indie developers would have to form a big part of it, for example, although one could argue that Sony has already stolen a march on Nintendo in this regard with its policy of working closely with selected indie developers on PS4 and Vita. The scope would have to be as big as it once was if not bigger, though; studios around the globe, not just in Japan, with oversight from Kyoto but also enjoying the trust required both to build excellent new IP and to experiment with old properties. Rebuilding this system would require opening the Nintendo warchest, of course; and it would take time and patience, although both of those are qualities Nintendo has never lacked for. It would, however, do more that just giving Wii U a shot in the arm; it would set Nintendo up with a supply of IP and games that would sustain its platforms for generations to come. Today we are very proud to present Gateway firmware OMEGA 2.3b BETA to our beta testers! For this update we focused on bringing support back for recent games and applications that use the new encryption method that was introduced in System Firmware 7.x and higher. It took us a while before it was ready, but here we are today. We always deliver as promised! With this update we are happy to announce that this brings our game compatibility back to 100% and we want to keep it that way! * We have noticed that some recent games have started to use features only present on System Firmware 7.x or higher. Firmware spoofing no longer works for these games, and emunand is currently required for these games to run. support for emunand 8.x or higher will not work. We are still investigating if we can improve upon these limitations, but we currently think that this is an acceptable solution for the time being. That and we also have a lot more interesting features planned that we want to release! Our next focus will be revising the savegames subsystem. We think a lot of our savegame editing and retail gamecard users will be pleased with what we have planned! Once approved by our beta testing friends, the final release will be published. If all goes well, this means very soon. Until next time, ENJOY and as always support the innovators and not the imitators! Becomes the best USB charger recharged the world. Now recall that was a pioneer in showing how CoverFlow on Wii . Now back to the loader after playing one of their new features you can not miss. And its functionality grows with each new version . You expect, Get changed now! The beta version of the NES emulator Nintendulator has been updated again. Notable changes include added NES 2.0 support, various emulation fixes, and numerous added or improved mappers. Abbaye des Morts is an 2D platformer. First release, tested on my Wii and dolphin emulator. I haven’t posted anything new in AGES. So I thought I’d give you a preview of a few of the things I have been messing around with. thunderstruck has released a pre-alpha version of his Virtual Boy development tool called "Virtual Box". It's the exact same version that compo entry "Mario Combat" was created with. Find it here. "Team Tusk" have done it again and produced complete-in-box copies of another homebrew game. "Fishbone" is now available for sale at UncleTusker's online store for a price of $80. Check out the release thread. Nintendont never ceases to improve over time, thanks to the hard work of talented and dedicated developers including FIX94 . Quick reminder for latecomers: Nintendont is a loader for running games in Wii Gamecube mode, both on Wii U Wii (in vWii mode), all from a USB device or SD card. A major breakthrough was conducted yesterday (R145), which is why we communicate through this news. Indeed, one of the latest features that were desperately just to be coded and added to the loader, namely audio streaming. games using this method of reading audio tracks were previously incompatible and playable without his Today ... they become fully functional and allows to enjoy original flawlessly soundtracks. These projects are still in their balbutiemments, but likely to become indispensable in the coming months ... and the announcement of a vulnerability on smaelum consistent user 8.x should also give a boost to amateur development to fail so badly on 3DS. smealum , working hard for several weeks at fault dune development user to launch homebrew on Nintendo 3DS, has just confirmed via twitter very good news: it is fully COMPATIBLE with the last Update Nintendo (8.1.0-19E). This therefore opens the opening of the machine to the amateur programs, and, regardless of the firmware of the console. Should course remember we are talking about a flaw that USER therefore will NOT starting a native linker 3DS let alone launch any backup 3DS. Smealum having opened it a few days ago a kind of " talent contest "to create the official logo of his work, it goes without saying that his release would be imminent ... wait and see. Official website: https://twitter.com/smealum thank you to AlexxC for information . YourNerdyJoe offers " Particle Demo "superb technical demo featuring a particle system for the Nintendo 3DS. Particle Demo is a particle demo for the 3DS (creative, I know). There two versions, a multi-threaded version of a single-threaded and release. The multi-threaded version of Utilizes two threads Where It updates the app in one hand and thread the particles in the --other. This allows the main thread to run at about 60 fps Even When particle thread Begins to lag. Does this mean while the two threads are Constantly out of sync, it causes the multi-threaded version of a nickname to-have alpha blending effect Where Some particles APPEAR to Be a darker color than others. This is due to the particle thread Continuing to draw particles started the after the frame buffer To Be copied from the GSP to heap VRAM. Since the top left frame buffer is Copied to first, more particles are rendered to the GSP heap by the time it is Copied to the top right frame buffer. When 3D is diabled, the 3DS renders the left and right frame buffers on Alternating frames. This, in addition to Some particles are just not rendering some frames Because The thread is not updating fast enough, tricks your eyes Into thinking some particles are darker When They really are flashing on and off the screen multiple times per second. singleton The threaded version of just 4096 updates all particles in the main thread application. Otherwise it works the Saami have the multi-threaded version of goal with inferior performance. It lakhs the pseudo-alpha blending effect and the text on the upper screen starts spazzing out When The frame rate drops to low (Caused by Increasing the particle size to much). Only use the single-threaded version of performance for comparison. If you want to play around with it use the multi-threaded versions. Both are from my sccm steady aim testing the multi-threaded demo is just better. 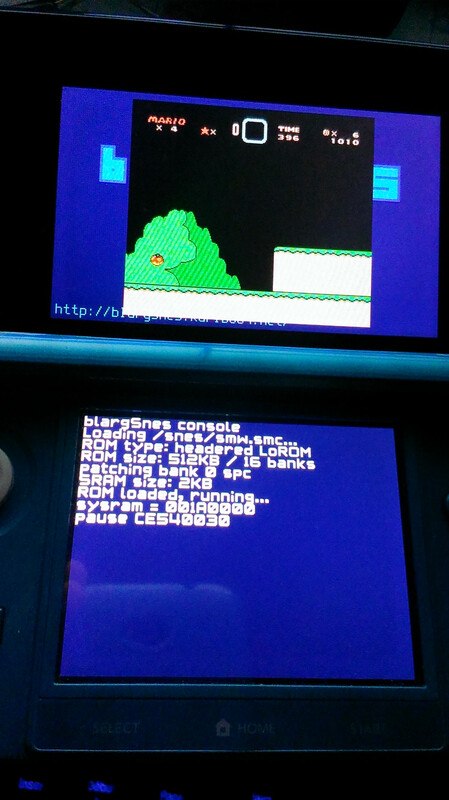 huiminghao and minitroopa offer 1.3b fixed version of " nesDS "Nes emulator for the Nintendo DS. Chris Read proposes new draft " GoSub DS "Nintendo DS adaptation for the game of the same name GoSub , originally appeared at the author's Atari 2600, Odyssey 2 and Virtual Boy. It now contains 25 levels in which you must cross a course without touching the walls to retrieve the treasure chest. t377y000 features version 1.0.3 of its engine FPS 3D game for the Nintendo DSi, " Sandbox DSi-Hybrid Engine ". Nintendo has taken a few steps to modernize its gaming experience, but downloadable content (DLC) is still a sore point; even New Super Luigi U is more of a separate (and fairly expensive) title than a proper booster pack. Today, though, there are signs that the company is getting serious about improving its less-than-stellar reputation with add-ons. 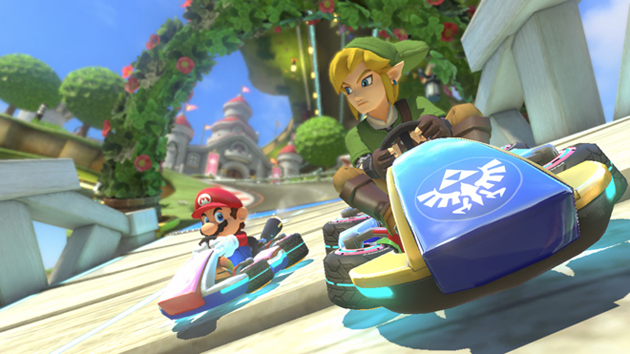 Nintendo has offered a sneak peek at a Mario Kart 8 expansion that adds The Legend of Zelda's Link, F-Zero's Blue Falcon ship and eight new courses, among other things -- that's a lot of goodies to keep you coming back. It should arrive in November for $8, and Animal Crossing-themed DLC due next May will add similar numbers of cars, characters and tracks. Nintendo of Japan is streaming a new Direct broadcast tomorrow, August 29, focused on upcoming 3DS games. There are no announcements yet from the company's American or Euro branches. In any case, it's taking place at 8PM Japan time (4AM PT/7AM ET/12PM UK) and you'll be able to watch it right here. Professor Layton vs. Phoenix Wright: Ace Attorney finally arrives in this week's US eShop update, months after its European release in late March. 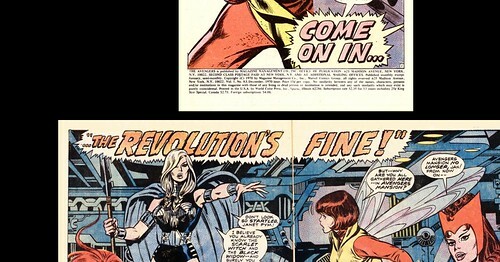 CVG's review called the 3DS title a smart merger of two disparate franchises with "a lengthy story that nevertheless doesn't outstay its welcome". Meanwhile, Mega Man fans get a double dose of new and old: Azure Striker Gunvolt, which was led by Keiji Inafune and takes heavy inspiration from the Blue Bomber's exploits, hits 3DS eShop, and Mega Man X3 arrives on Wii U Virtual Console, closing out a month of Mega Man additions. eShop favorite SteamWorld Dig makes the jump from 3DS to Wii U, and The Fall brings Metroid-inspired gameplay to an involving story of an AI-driven suit and its fragile human occupant. Professor Layton vs. Phoenix Wright: Ace Attorney - Join forces with expert investigator Professor Layton and ace attorney Phoenix Wright in this unbelievable crossover adventure. Find out what new twists they bring to the courtroom as they solve puzzles and debunk witnesses' lies. Cross-examine multiple witnesses at the same time to uncover the mysteries of the magical city of Labyrinthia. Professor Layton vs. Phoenix Wright: Ace Attorney will be available in the Nintendo eShop on Nintendo 3DS at midnight ET on Aug. 29. Azure Striker GUNVOLT - From Inti Creates and featuring the talents of Keiji Inafune, the creator of the Mega Man series, Azure Striker GUNVOLT takes the best aspects of Japanese 16-bit classics and updates them with new play mechanics and slick graphics. For a limited time, the game comes with a free digital code to download the 8-bit nostalgia-fueled MIGHTY GUNVOLT as well. Azure Striker GUNVOLT will be available in the Nintendo eShop on Nintendo 3DS on Aug. 29. Thorium Wars: Attack of the Skyfighter - Pilot one of three Skyfighters across alien worlds to protect Earth. Push your dogfighting skills to their limits in this futuristic 3D aerial shooter, available exclusively in the Nintendo eShop on Nintendo 3DS. Click here to watch a trailer for the game. Mega Man X3 - Every Thursday in August, Nintendo and Capcom are bringing classic Mega Man games to the Virtual Console service in the Nintendo eShop on Wii U. Mega Man X and his partner, Zero, must discover why an antivirus has failed to turn robots from destructive Mavericks into peace-loving Reploids. Run, jump, dash, scale walls, avoid obstacles and fight enemies in eight challenging stages as you hunt for the latest cure. SteamWorld Dig - After its positive reception on Nintendo 3DS, indie hit SteamWorld Dig is making its way to Wii U for the first time. 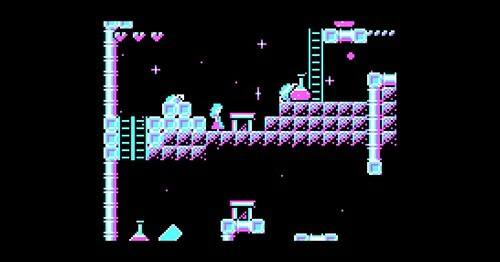 In this platform mining adventure, take on the role of Rusty as he arrives at an old mining town in great need. Explore an underground world full of secrets, treasure and terrors with interface elements that use the Wii U GamePad controller. Click here to watch a trailer for the game. The Fall - Explore an alien world in this unique blend of action game play and adventure-game puzzles in The Fall, which launched Aug. 26. Take on the role of ARID, the artificial intelligence within a high-tech combat suit, as you struggle to save the suit's unconscious human occupant. Get ready for a disturbing and engrossing journey as you explore the world of The Fall. Click here to watch a trailer for the game. Select Wii U and Nintendo 3DS games from Capcom are now up to 60 percent off in the Nintendo eShop. This offer is valid until 8:59 a.m. PT on Sept. 4. Super Little Acorns 3D Turbo is 50 percent off (reduced from $7.99 to $3.95) from 9 a.m. PT on Sept. 3 through 8:59 a.m. PT on Sept. 24 in the Nintendo eShop on Nintendo 3DS. Soccer Up 3D is 71 percent off (reduced from $6.99 to $1.99) until 9 a.m. PT on Sept. 17 in the Nintendo eShop on Nintendo 3DS. Tom Clancy's Splinter Cell Blacklist - is being reduced to $19.99 (from $39.99) starting Sept. 1 on Wii U.
Nintendo is renewing its focus on engaging a tighter core gamer market, rather than just catering to a broad audience of casual players. This is according to legendary designer and Nintendo executive Shigeru Miyamoto, who told Edge (via CVG) that: "In the days of DS and Wii, Nintendo tried its best to expand the gaming population. "Fortunately, because of the spread of smart devices, people take games for granted now,” he added. “It's a good thing for us, because we do not have to worry about making games something that are relevant to general people's daily lives." Speaking of casual players who might ‘passively’ interact with a title, rather than the passionate fans Nintendo hopes to now interest, Miyamoto described the former group as “the sort of people who, for example, might want to watch a movie. They might want to go to Disneyland”. He even went on to call the casual group’s approach to gaming ‘pathetic’, arguing that they should make an active effort to participate in titles and try new things. "Their attitude is, 'okay, I am the customer. You are supposed to entertain me’,” he explained. “It's kind of a passive attitude they're taking, and to me it's kind of a pathetic thing. “They do not know how interesting it is if you move one step further and try to challenge yourself [with more complex titles]."